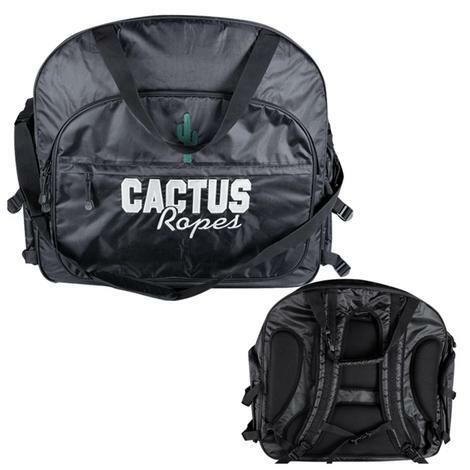 Cactus Ropes introduces the Excursion Rope Bag, the latest in their line of awesome carrying equipment. This roomy bag comes in black or turquoise and equipped with two insulated pockets. 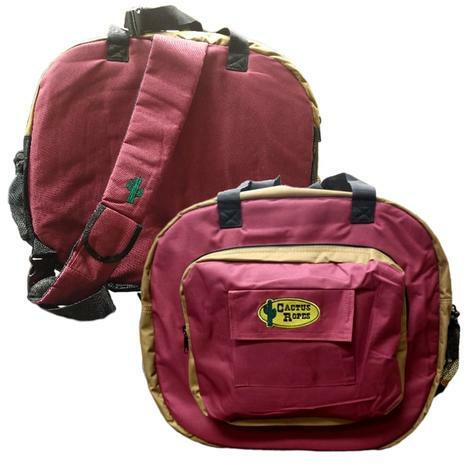 Extremely durable composition, as well as the option to carry like a backpack and an adjustable shoulder strap. Two outside zipper pouches. The Thrilla CoreTX is a new four-strand nylon heel rope by Cactus Ropes. Utilizing a core foundation around which the four outer strands are twisted, this process yields a sturdy, lasting life to the outer strands which reduces fuzzing and fraying. The Thrilla exudes longevity and strength by leaving out the added dyes, they are colored 100% by the core. More weight to the core strand, produces more tip weight for a smaller diameter rope. It's smaller and quicker and still keeps that added tip weight and durability that Cactus' CoreTX ropes posess. 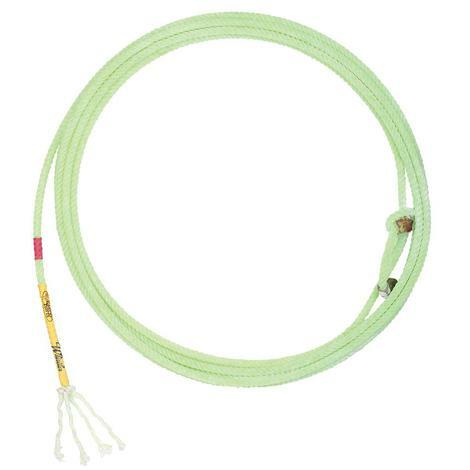 For a less rope feel and the ability to maintain constant tip control, pick up Thrilla Team Ropes by Cactus Ropes today. 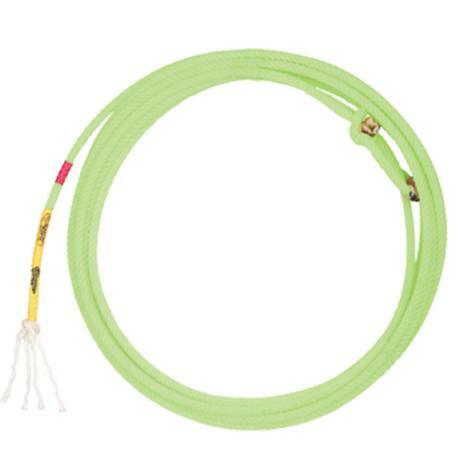 The Thrilla CoreTX is a new four-strand nylon rope by Cactus Ropes. Each rope utilizes a core foundation around which the four outer strands are twisted yielding more durability and life to the outer strands which reduces fuzzing and fraying. The Thrilla extends its longevity and strength by eliminating added dyes, they are colored 100% by the core. Cactus added a little more weight to the core strand, producing more tip weight for a smaller diameter rope. 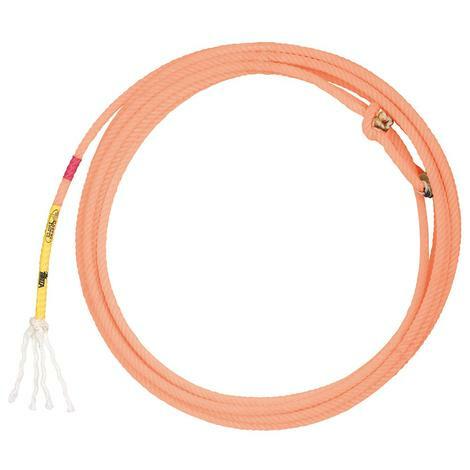 This rope is smaller and quicker and still keeps that added tip weight and durability the Cactus' CoreTX ropes posess. If you like that less rope feel and still need to maintain constant tip control, pick up Thrilla Team Ropes by Cactus Ropes today. The Swagger Relentless CoreTX is a new four-strand nylon rope by Cactus Ropes. Utilizing a core foundation around which the four outer strands are twisted, the Swagger yields more durability and life to the outer strands which reduces fuzzing and fraying. The Swagger extends its longevity and strength by eliminating added dyes, they are colored 100% by the core. Added weight to the core strand produces more tip weight for a smaller diameter rope. 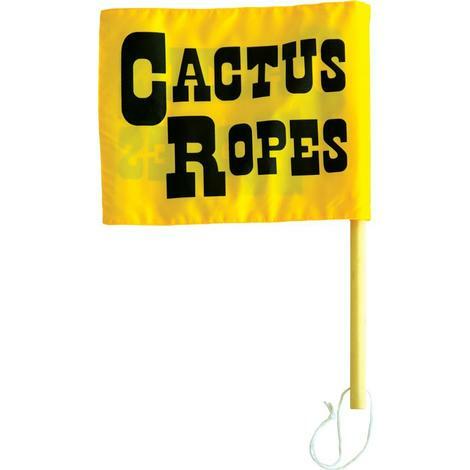 A little more tip and a lot more last in the new Swagger Team Ropes by Cactus Ropes. The Swagger Relentless CoreTX is a new four-strand nylon rope by Cactus Ropes. Each rope utilizes a core foundation around which the four outer strands are twisted yielding more durability and life to the outer strands which reduces fuzzing and fraying. The Swagger extends its longevity and strength by eliminating added dyes, they are colored 100% by the core. Cactus added a little more weight to the core strand, producing more tip weight for a smaller diameter rope. A little more tip and a lot more last in the new Swagger Team Ropes by Cactus Ropes. 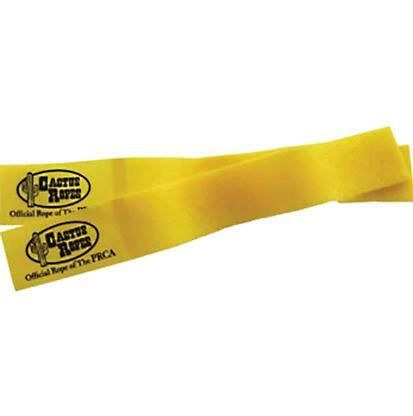 The Whistler heel rope from Cactus Ropes is a 4-strand nylon/poly blend rope. 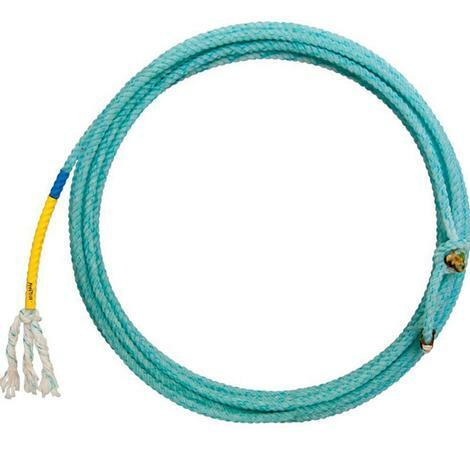 This rope is small, yet durable for its size and works great in all conditions. The fourth strand gives it extra weight and body. 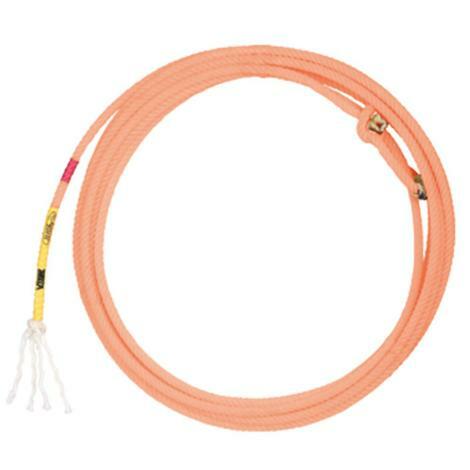 The Whistler CoreTX head rope from Cactus Ropes is a 4-strand nylon/poly blend rope. This rope is small, yet durable for its size. Feel more tip weight even in a small diameter rope with the added core strand weight. The added weight of the core makes this rope extremely easy to swing and lightning fast once it leaves your hand. 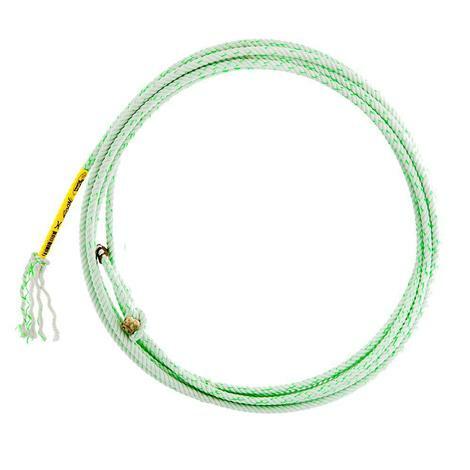 The Xplosion CoreTX heel rope from Cactus Ropes is a 4-strand nylon/poly blend rope with added weight and body to the center. Now you can get the unparalleled feeling of the Xplosions PLUS the added durability and life of a core! This blend places emphasis of your swing on the tip and adds durability. The Xplosion with CoreTX ropes feel more tip weight even in a small diameter rope due to added core strand weight and a longer longevity thanks to a decrease in stretch from run to run. This flag is light enough to carry all day and bright enough not to be missed. The flag is 13 inches by 10 inches and bright yellow. A ¾ inch wooden dowel rod sits easily in the hand. The wrist strap prevents mishaps and provides for easily handling. 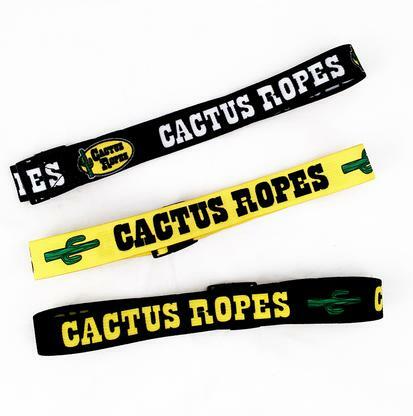 These rope strap by Cactus Ropes is designed to buckle under the saddles swell and provide a quick and easy method of securing rope coils neatly at the base of the horn. 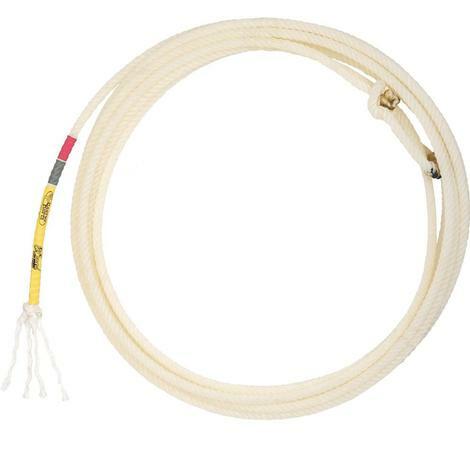 This is a medium diameter heel rope that is 100% nylon and is 36 feet long. It is made from 3 strands that deliver a consistent feel, tip weight, snap, and body. This head rope is from the Relentless Collection. It is a 100% nylon rope constructed of 3 strands. 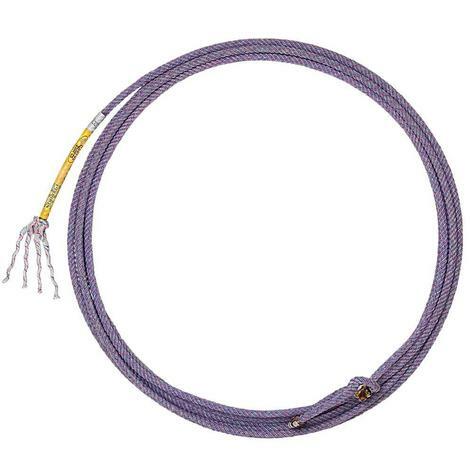 It is a medium diameter rope that has a consistent feel, body, snap, and tip weight. Bag holds up to a dozen ropes and still has room for the essentials like gloves, rubber, and even your horse’s leg protection. 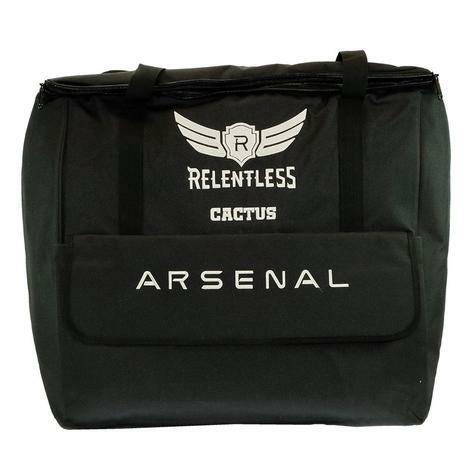 You can transport any tack piece you need in this bag! 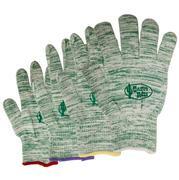 The Cactus Ropes Ultra Roping Glove was made to be ultra durable and tight fitting. This will be your new favorite glove.